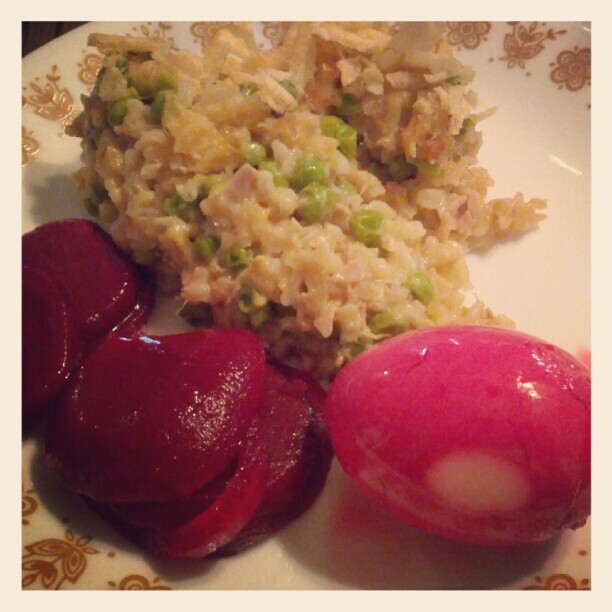 What would Easter be without pickled eggs and beets? Generations have shared this special comfort food. And that tradition hasn’t changed much. Or perhaps they’ve already eater the first batch, and are busy making more. 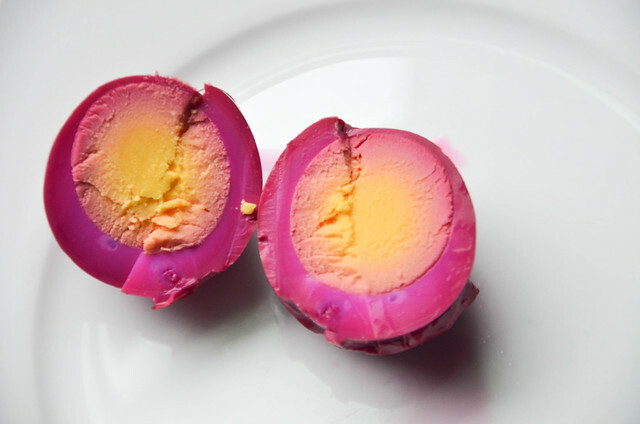 They are delicious, and so easy to make. 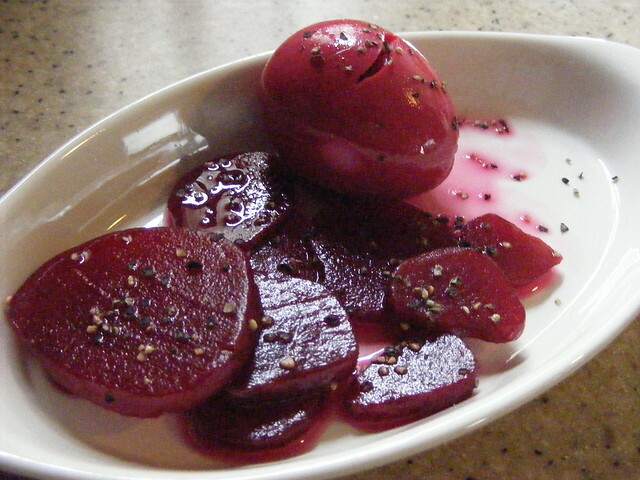 The basic recipe calls for adding hard-boiled eggs to beet juice containing equal parts of vinegar and water, as well as enough sugar to sweeten to taste. 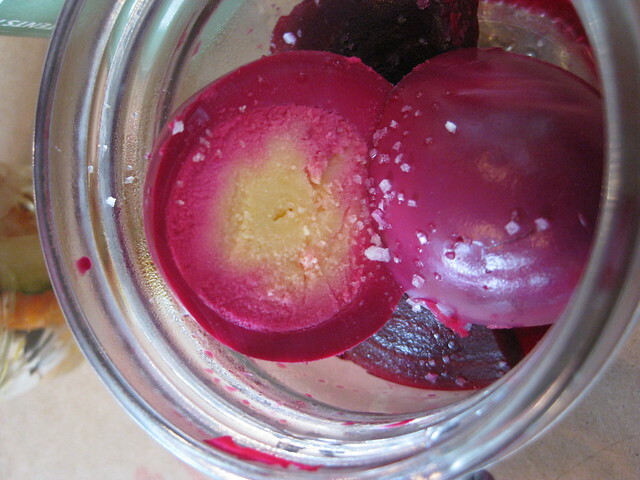 Some like sliced beets, others prefer them whole. It’s just a matter of personal preference. 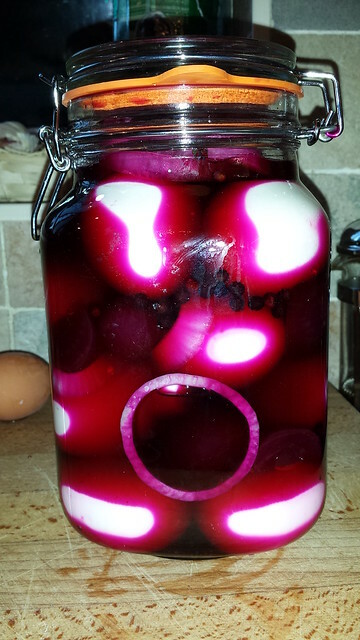 Others add some sliced onions, or even a touch of pickling spice. 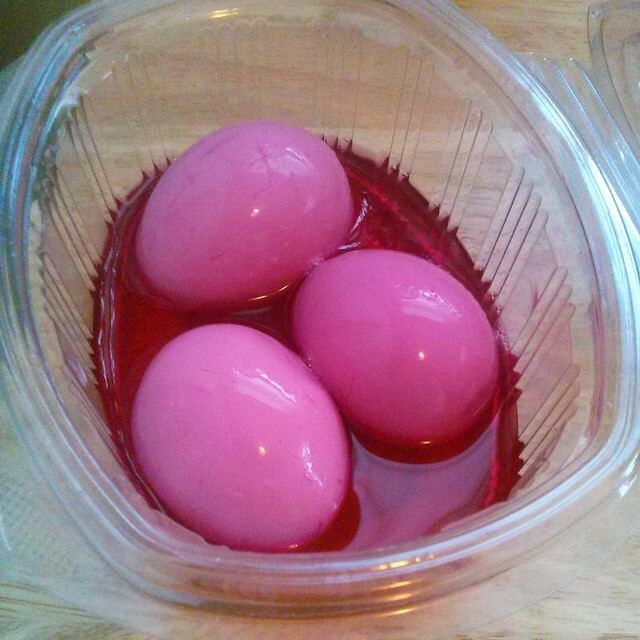 Most make them ahead of time so the egg white (and even the yolk) has plenty of time to soak up the beet juice.